I have a very fond history with Superdrug thanks to winning a blogging competition with them many a moon ago. It was not long after starting this blog that I saw they were offering the chance to blog for them and possibly win a holiday in the end and being new to the game I thought, why not! I was so so excited when I was picked as a finalist and set upon enjoying a summer writing content for their blog based around a whole heap of challenges from festival beauty to treating pals to a pampering. I never thought after having so much fun writing for them that I would go and win the whole thing but I did and it remains something I super proud of. I was delighted then all these years later to be invited to head along to my local store ( the Glasgow Argyle Street branch) to check out all the new makeup lines they had instore as well as the outstanding gift selection on offer. I am ashamed to admit just how often I pop into this store as it happens to be on my daily walk to and from work... that and I have an obsession collecting up my points to treat myself :) Thanks to my recent house move however I hadn't been in for weeks and in that time they have only gone and made some amazing additions to the makeup aisles. 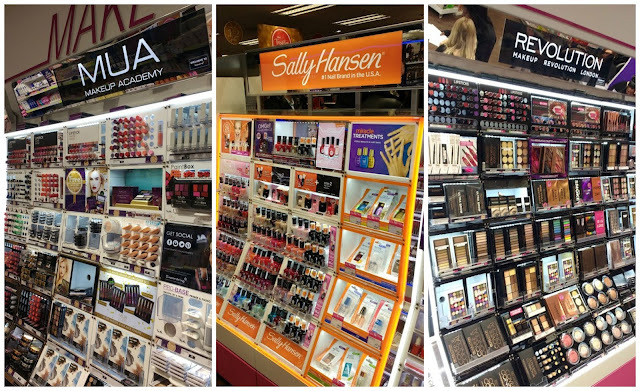 Superdrug is the absolute home of the best affordable makeup so I was bowled over by the newly stocked and jam packed counters for Makeup Revolution, Gosh, MUA and more. I have been itching to get my hands on so many bits for ages and had been buying online but now I could ogle it all in the flesh which is amazing. 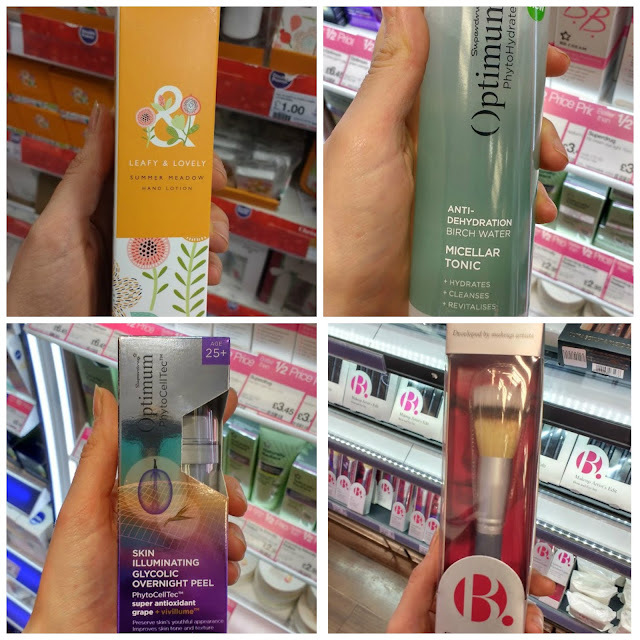 I had so much fun going through some of the key products for various ranges while chatting to Jemmimah from the team, I absolutely adore chatting skincare and makeup with someone who loves it as much as me. It was super interesting to hear what is all in the line up for 2017 with some exciting relaunches from the B. Beautiful line (their micellar water FYI is just amazing) and learning more about their in house skincare ranges. I have long recommended Superdrugs super affordable Vitamin E and sensitive skin range to people who get in touch with me, but how I had missed so many good bits in the Optimum Range, I have no idea. There are some powerful ingredients hiding in there that I was quick to stash in my basket and I am super excited to try them out. Moving on to the Christmas bundles and I was really impressed with the array of collections on offer. 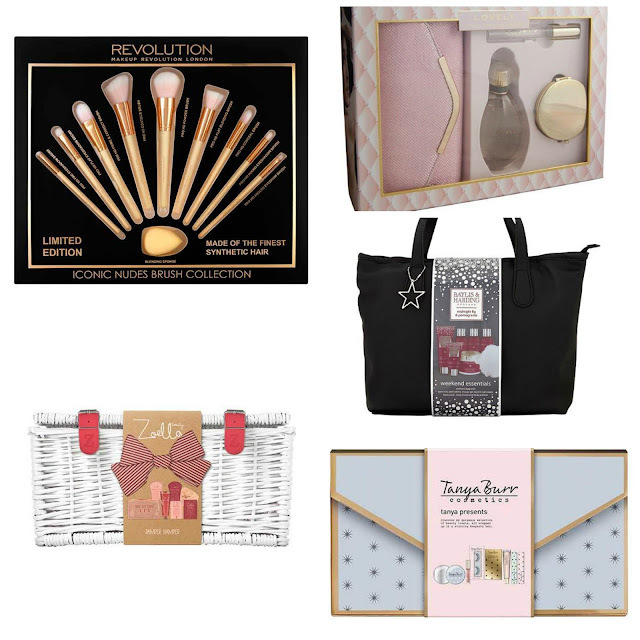 From fantastic Zoella and Tanya Burr sets that are sure to tickle any secret santa, to some of the sweetest stocking fillers I have seen, there was something for everyone and then some!! I could easily have knocked out my entire Christmas shopping in about 5 minutes and then still reaped the rewards in the form of points! The prices for their Christmas ranges are properly affordable, I was shocked at how little some of the sets are, the Leafy and Lovely range is as little as £2.50 for a sweet manicure set and looks so much more expensive than that, they are perfect for me to have in as little filler gifts. Taking a peek online I just noticed so much of the Christmas stuff is reduced to amazing prices already so if you still have all the shopping to get done, you know where to head!